Only the best for the best. 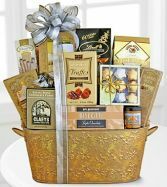 Impress with a truly luxe gift collection of Caramel Popcorn, Chocolate Chip Cookies, Mixed Nuts, Cappucino Drink Mix, Chocolate Candies, Chocolate Taffy, Butter Pretzels, Cheese Spread, Lindt Lindor Truffles, Smoked Salmon, Snack Mix, Almond Hazelnut Biscotti, Pirouline Chocolate Wafers, Chocolate Truffles, French Vanilla Cocoa, Mixed Dried Fruits, Chocolate Truffles, Walkers Chocolate Toffee, Jelly Belly Coctail Classic, Honey Mustard Pretzels,and a Magnifique Chocolate Gift Box. 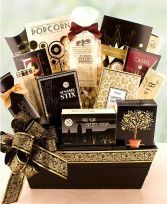 The Toronto is filled with sophisticated treats for a very cosmopolitan recipient. 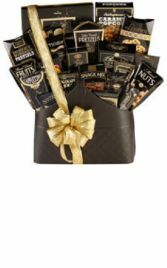 Truffles, chocolate dipped pretzels, caramel popcorn, crisps, nuts and so much more beautifully presented in a modern market tray. 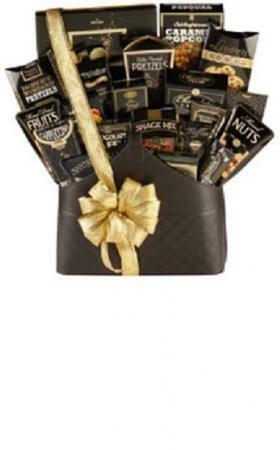 Perfect for a night in or hiding in the drawer away from the nurse. 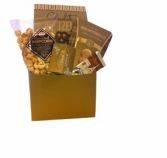 Contains Caramel Popcorn,buttery short bread, Lindt chocolate,Hoppie single Cookies, and chocolate pretzels. 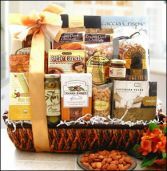 The Toronto is filled with our favorite treats: gourmet olives, almonds, and peanuts. 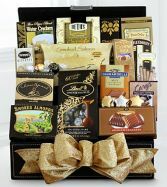 It also features gourmet coffee, STASH tea and a selection of sweets: chocolate, toffee, fancy gourmet popcorn, chocolate chip cookies, and so much more. 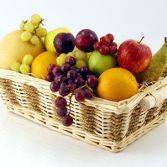 Perfect for any occasion, our fruit trays are decorated with a raffia bow and is sure to brighten any day! 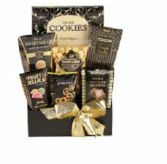 GOOD Gift box contains 9 - 12 pieces of delicious seasonal fruit BETTER Gift box includes 12 - 15 pieces of fruit in a mixture of organic and locally grown fruit. 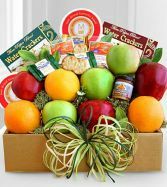 BEST Gift box holds 12-15 pieces of fruit with organic and exotic fruits such as star fruit, mangoes, clementines, and pomogranates. The Vintage Pearl Collection. Indulge her senses with a beautiful scented collection of shower gel, bath pearls, body lotion, bubble bath, natural loofah, and potpourrie.